Book chapters not available through the library can be requested using ILLiad. Book chapter requests can be placed either using Full Text Finder generated forms or by manually entering citation information. When you are searching a PCOM-licensed database, click the Full Text Finder icon to take advantage of Full Text Finder generated request forms.. The Full Text Finder icon changes depending on the database. Alternatively, book chapter requests can be placed manually using citation information. However, be sure to first check the Library Catalog for PCOM holdings before requesting a book chapter through ILLiad. 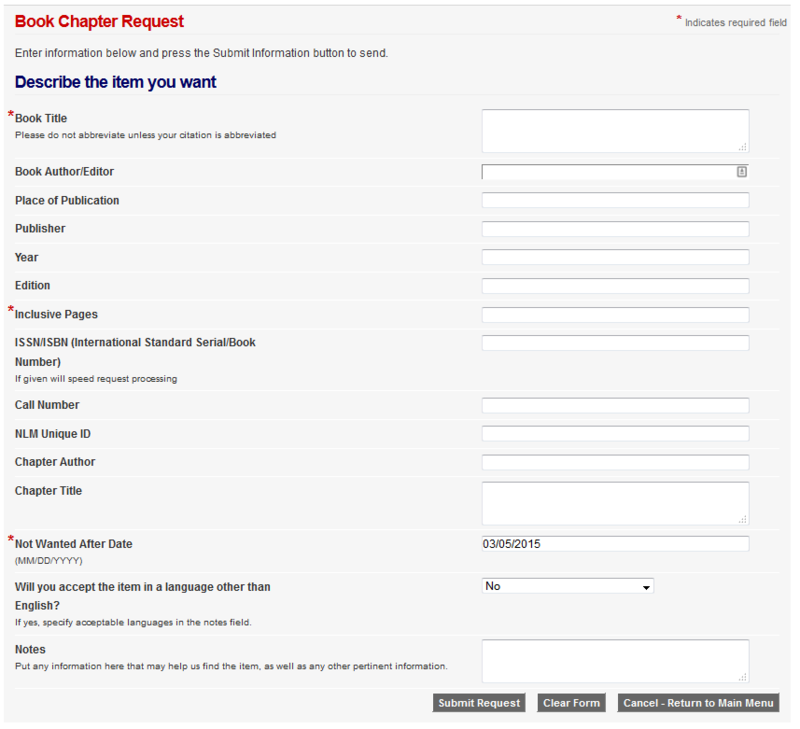 To manually place a request for a book chapter, first log in to ILLiad. 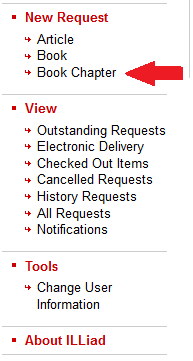 After logging in, select Book Chapter in the left hand menu below New Request. Enter as much citation information as possible to ensure quicker processing. Click “Submit Request” to complete your request.